Friction loss is something that is stressed about and is made out to be very difficult for new pump operators. In reality it isn’t. This is how the definition is read: Friction is the force resisting the relative motion of solid surfaces, fluid layers, and material elements sliding against each other (Friction, 2013). Friction Loss is the pressure loss due to the friction. In this case, the friction is water sliding against the interior of the fire hose. To overcome this, the pump operator must throttle up to ensure that the firefighter, on the nozzle, will have the appropriate amount of water to suppress the fire. Friction loss can be calculated using mathematical equations which is the Theoretical Method. You can also calculate friction loss using a series of easy to use methods that do not require a lot of math, these are called Fire-Ground Methods. For the purpose of this article we will focus on the fire-ground methods. I feel there is not enough emphasis put on fire-ground methods. All too often when a new pump operator is being taught friction loss the instructors jump straight to the equations because they are the hardest to grasp. No offense to the great pump operations instructors out there, but I haven’t seen too many calculators on the fire scene lately. How can a firefighter figure this stuff out on the scene? Theoretical calculations are generally used for pre-planning, spec'ing apparatus and calculating problems ahead of time; for instance making pump charts. You do not use theoretical calculations on fire scenes. There are multiple fire-ground methods for 1-¾ line, but I will talk about the one that works best for me… memorization. Yes, it sounds hard but its not. 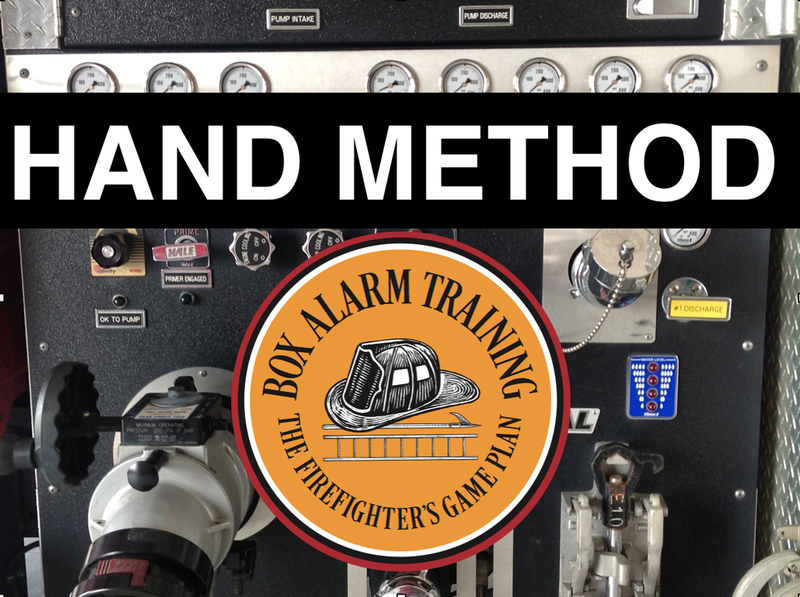 Its simple… just memorize the friction loss for the gallonage setting(s) on the nozzle. Most 100psi adjustable fog nozzles have four settings 95gpm, 125gpm, 150gpm, and 200gpm. So, all you have to remember is 14, 24, 35, and 62. These are the exact amounts of friction loss per 100 feet based on the gallonage above. There is 14psi friction loss per 100 feet when you are flowing 95 gallons per minute. If you have a 100-foot line your friction loss is 14, if you have a 200-foot line your friction loss is 28. It works the same way for the other gallonage settings. For example, if you are flowing 150gpm on a 100-foot line your friction loss is 35, if you are using a 200-foot line you friction loss is 70. Keep in mind this is just the friction loss; it is not the pressure you pump at the engine. In order to figure this, you have to take into account nozzle pressure. Most fog nozzles require a pressure of 100psi or 75psi for it to function properly, this is called the Nozzle Pressure. So, all you have to do is add 100psi or 75psi (Depending on your nozzle) to whatever your friction loss is and that will be your required Pump Discharge Pressure. So, lets say you are driving one day and you pull up on a car fire that only requires a 100-foot line. Your department’s SOPs require you to flow 95gpm while fighting this fire. This means you have to figure the friction loss, which is 14, and then add it to the nozzle pressure, which is 100. So, 114psi would be your pump discharge pressure. It works the same way with the 200gpm setting. If you are at a structure fire and you need to flow 200gpm out of a 200-foot line; first, figure the friction loss, which is 62 per 100. 62 for the first hundred plus 62 for the second hundred equals 124. After this is figured all you need to do is add the nozzle pressure, in this case it is 100. So, 224psi is your required pump discharge pressure. This method works the same way on low-pressure fog nozzles. They usually have a nozzle pressure of 75psi. So, instead of adding 100psi just add 75psi. In no way, shape, or form do I claim to be a great pump operator or even a good one for that matter. I have just figured out what works for me and I can do it efficiently. You may want to try the hand method… It requires too much on scene math for me. However, in my next article I will explain it. Until then just click on this: The Pump Discharge Pressure Chart. You can make your own pump charts for your engine which will tell the pump operator what to pump for each line on your engine. You just find the gallonage and the length of hose you have, then the chart tells you what pressure to pump the truck. You can also download a printable PDF version of this article by clicking here. To read about our contributors including Wes Anderson click here.